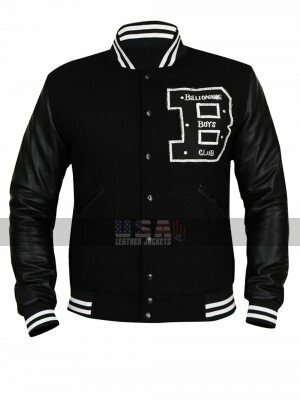 This jacket is a must have a choice of attraction which must always form to be an utmost beauty and attraction for many people the first reason being it has been an inspiration from a celebrity and the other reason being the styling and perfection it follows. 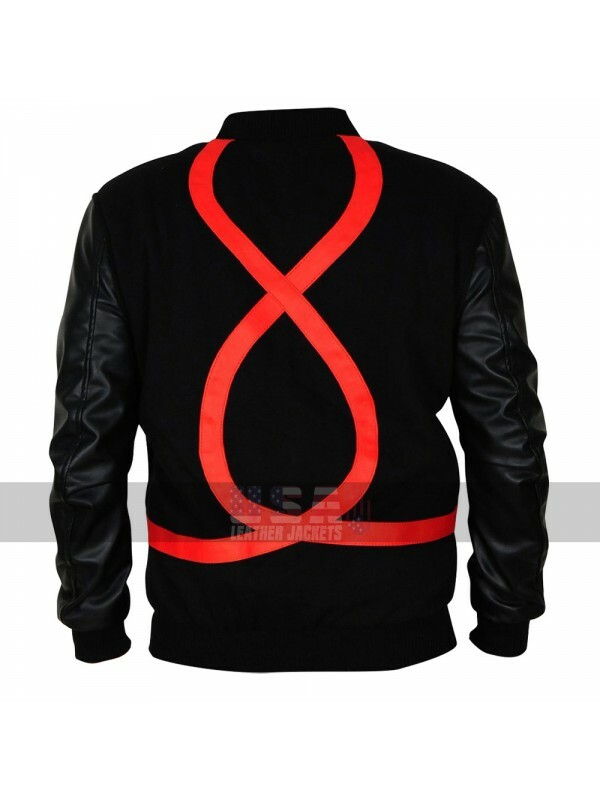 This Love Not Hate Jacket has a making of the best quality material is a blend of woolen and leather and has been provided with the black colored base to be featured. 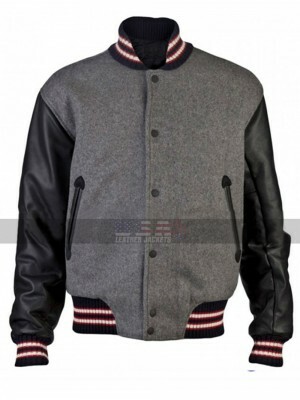 This Chris Brown Jacket has been provided with the base of black color and takes away the attention of anyone at any point in time. 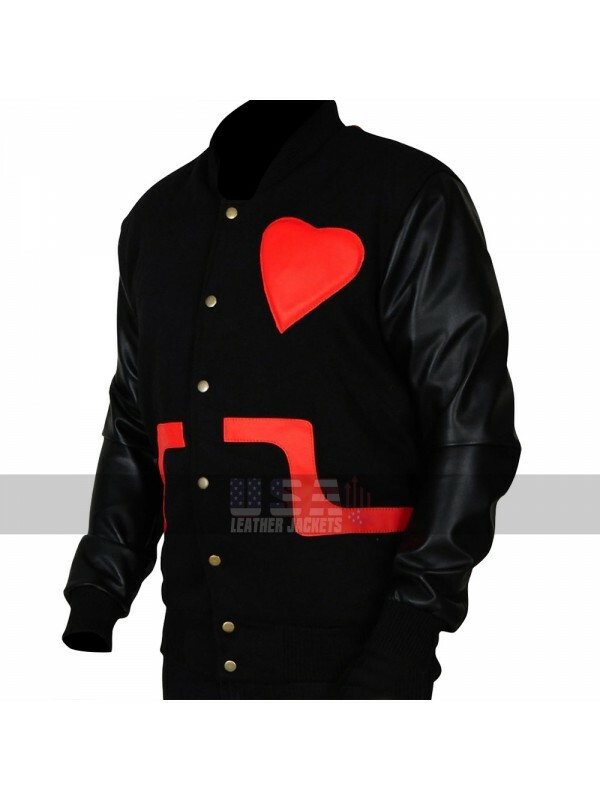 The front has been provided with a heart logo in red and this heart is then followed by a line which also gives an awestruck feeling to the one who takes a look at this beauty. 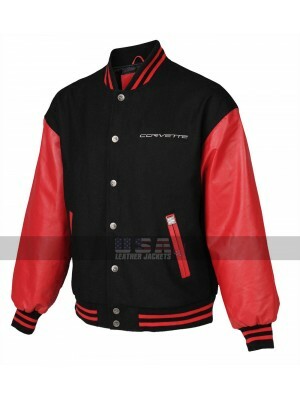 This Valentines Jacket is all in all a perfect consideration with the front closure being accessorized with buttons and two side pockets being provided as well. 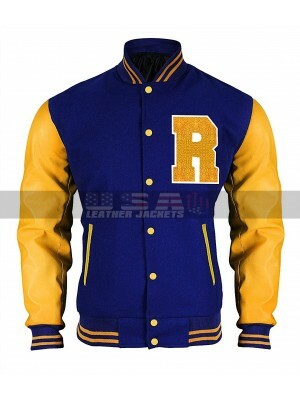 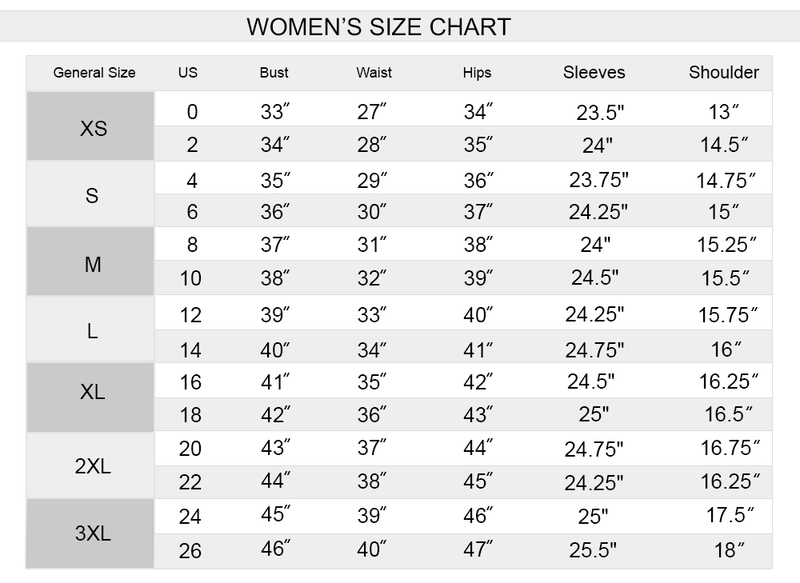 The sleeves of this Letterman Jacket are also provided with the full length and the inner has been finished with the viscose material which makes the outlook appealing. 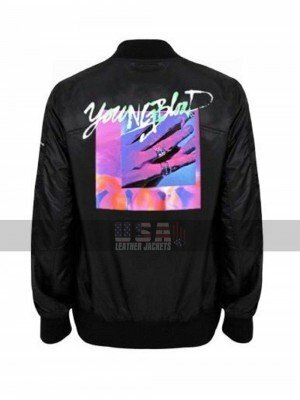 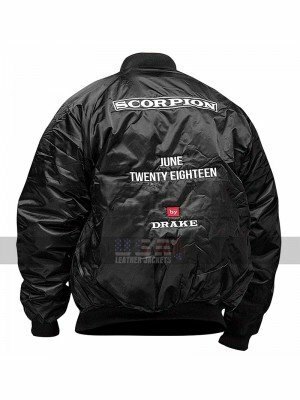 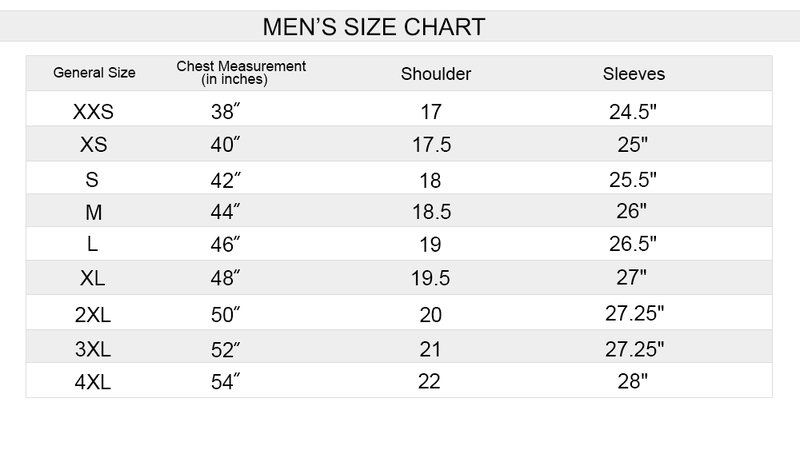 Are you looking for a varsity jacket that can give you a spo..
Riverdale TV Series Archie Andrews Letterman Jacket USA L..
Mens Bomber Biker Multicolored Baseball Varsity Jacket An..
Andrew Garfield Round Collar Varsity Jacket A daily..
June 2018 Aubrey Drake Graham Bomber Jacket The need and ..
5 Seconds of Summer Youngblood Bomber Jacket Celebrity cl..
B Logo Bomber Black Baseball Leather Jacket The need of h.. 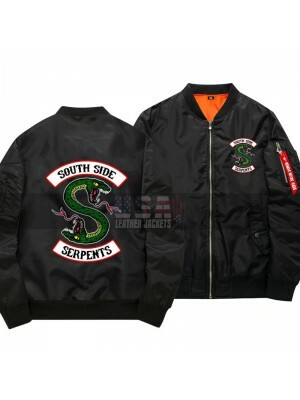 Committed to utmost comfort and desirable sophistication; th..
Riverdale South Side Serpents Jacket Winter Thick Zipper MA1..